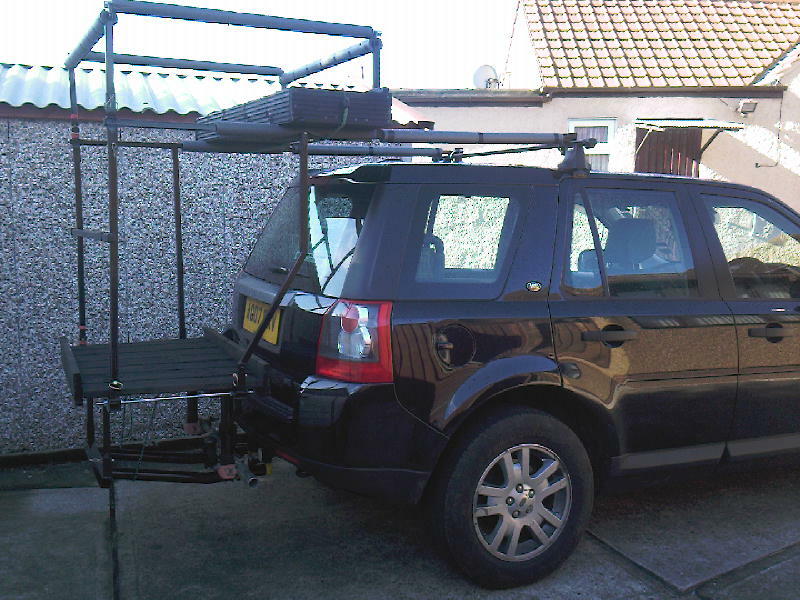 I've just got an L200 (2003), with a rear canopy, what I'd like to do is somehow mount a platform to stand on, on the tow bar assembly which is tubular steel, I'd like something easily mountable and removable. I toyed with the idea of modifying one of the tow ball game carriers but I'm not keen on that idea. I've done it in the past on a defender by slotting the platform with tubes into the hole in the rear cross member. I have the same year L200. If you give us a better idea of how you want to use it, perhaps a drawing? I will try and come up with something. Scaffold clamps would work though slow the set up but not bad. You will still need to brace it to stop it tipping down under weight. 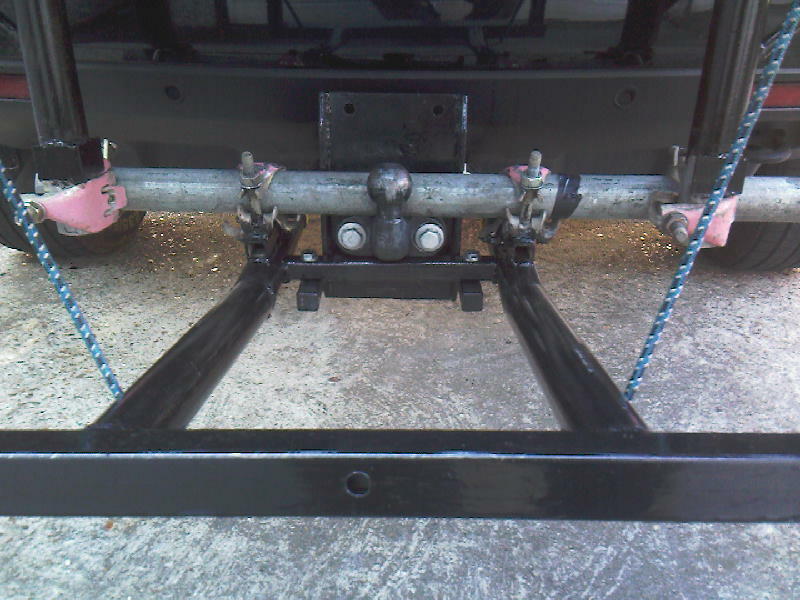 How about having some frame work that also hook over the tail gate to talk the strain? Why not just drop the tailboard and stand on that? I sometimes shoot out of the back of a Navara, a top hatch in the canopy would be ideal.